Gov. Brian Sandoval signed an online poker bill into law Thursday that will permit Nevada to form interstate compacts without obtaining federal approval. The Nevada Legislature hurriedly held a hearing and voted on the measure at the governor’s urging, voting unanimously to approve Assembly Bill 114. The bill repeals previous restrictions that required Congressional approval for Nevada to partner with other states in order to increase player liquidity. AB 114 also includes a clause that locks out for a period of five years any online gaming companies that catered to the U.S. market following enactment of the UIGEA in 2006. The “bad actor” provision keeps Nevada’s online poker license holders from having to compete with the monolithic PokerStars at least until 2018. A week ago, the interstate compact bill hit a snag when the bill’s sponsor, Majority Leader William Horne, sought to increase the fees from $500,000 to $1 million for the state’s Internet poker licenses. Gov. Sandoval objected to the fee hike for all licensees and the the two were able to reach a compromise that will allow the fees to remain at $500,000, but may go as high as $1 million for some companies in certain circumstances. On the other end of the spectrum, some licensees may only have to pay as little as $150,000. The rates for each will be at the discretion of the Nevada Gaming Commission. Horne had also sought to double the license renewal fee from $250,000 to $500,000, but was persuaded to allow the quarter-million dollar renewal rate to stand. Nevada lawmakers were forced to act quickly due to the online gambling bill in New Jersey that may be signed into law by Gov. Chris Christie by the end of this month. Christie conditionally vetoed the measure on Feb. 7 and proposed amendments that include higher taxes on gaming operators and a 10-year trial period on the statute. The New Jersey Legislature will meet on Feb. 26 and all indications are that they will approve Christie’s conditions and have the bill back on his desk the same day. Christie has gone on record as saying that he will sign the bill within a day or two. Therefore, the race is on to be the first state to go live with online poker sites and become the hub of the U.S. online gaming industry. It is expected that other states that follow with legislation of their own will employ many facets of the regulations of the state who wins the race and is deemed to be the industry’s center. Delaware is also in the running, but it looks as though Nevada has a sizeable lead. The Silver State has already issued almost 20 interactive gaming licenses and software testing has been ongoing for months. Even though the online poker bill was passed by the Nevada Legislature, there is no sign yet of approval for the software to be offered to the public. The state follows New Jersey who initiated attempts to pass a similar legislation on online gambling earlier this month and is expected to do so very soon. According to A. G. Burnett, chairman of the Nevada Gaming Control Board, one of the reasons for the holdup is that the software to be used for online poker gaming is under stringent testing in order to meet state standards. The chairman wasn’t in a position to give an approximate date of approval of the first system. Thursday’s bill was designed to provide a boost to the state’s economy and allow gaming in Nevada to reach greater heights. Gov. Sandoval was upbeat about the new bill and promised to continue to be the gold standard of gaming regulation. Nine operators have been issued licenses for online poker by the state’s Gaming Commission. 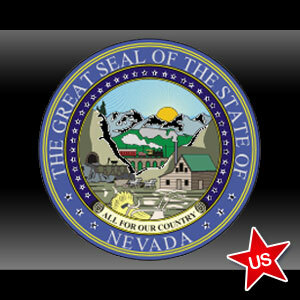 The 2011 Legislature offers numerous companies the opportunity to enter the internet poker arena within Nevada. New Jersey and Nevada are in a race to become the main hub for online gambling with each state hoping to use existing regulations to help new states enter the market. Senate Minority Leader Michael Roberson went all out to reaffirm that Nevada was still No. 1 in gaming and would continue to be in the future. According to Pete Ernaut, lobbyist for the Nevada Resort Association, this was good-natured competition. In the meantime, Congress has held up a bill to permit internet gambling at a national level.